As a corporate video production company based in Toronto, we are dedicated to creating engaging, powerful and original videos that will help you connect with your audience. We have over 16 years of video production experience and success – it’s all we do, and we do it better than anybody else. 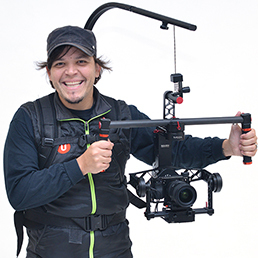 Manuel Rodriguez is one of the founders and partners of Unikron Inc., a company that has mastered cutting edge video production, creative and interactive video. 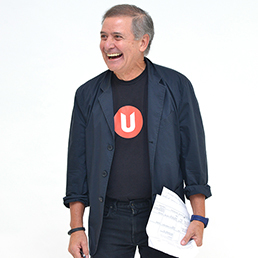 Leveraging his background in computer science Manuel has been able to create the technology vision of the company which enabled Unikron to secure an impressive list of clients including Google, Bombardier, the American Library Association and the Toronto 2015 PanAm games. One word to describe Manuel would be energetic. He enjoys family time, tennis, and chess but don’t confuse that with boring, he can also heat up a dance floor to rich Latin beats. Alex comes from a production and communication background. His experience represents 25 years in broadcast television and video production, as well as 30 years in business management. As a founding partner and president of the company, Alex’s vision has helped propel Unikron and transform it into the innovative, diversified and exceptional organization it is today. Alex is all about family! He enjoys good music, great wine, and tennis is his middle name. If you ever ask him what drives him, he’ll say that being surrounded by Unikron’s young talented team is the most stimulating way to enjoy work at its fullest, and a fun way to stay at the top of his game. 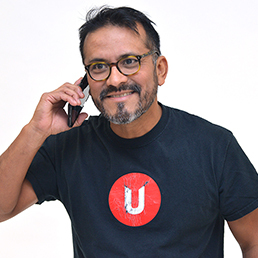 Sergio brings over 20 years of experience in graphic design and business management to Unikron. Prior to co-founding Unikron he held advisory positions with several leading banks and financial institutions. 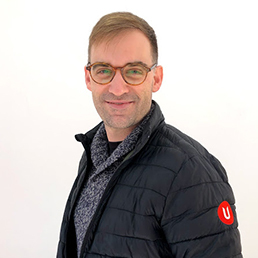 Sergio’s vision has been instrumental in providing Unikron’s clients with market driven creative concepts and ideas ultimately resulting in high return products. Sergio is all about Yoga! No matter the day or time, for him the yoga mat is just a second away. Sergio is driven by his keen attention to detail which ensures high standards of quality for all of Unikron’s clients and projects. Sergio was published in a special commemorative edition of the Globe and Mail about the 70th anniversary of the establishment of diplomatic relations and the 20th anniversary of the North American Free Trade Agreement (NAFTA) between Mexico and Canada. 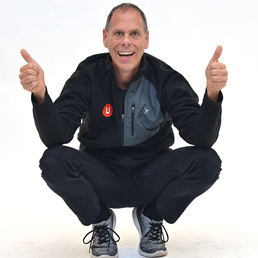 Sergio was recognized by Latinos Magazine as one of the Top 10 Most Successful Mexicans in Canada. March 25,2014. As a corporate video production company based in Toronto, we are dedicated to creating engaging, powerful and original videos that will help you connect with your audience. We have over 16 years of video production experience and success – it’s all wedo, and we do it better than anybody else. John Balabik is a charismatic award-winning producer who can deliver on creative development, and management. Proven success with family programming, branded entertainment, online shows, commercials, social media campaigns and major league sports. 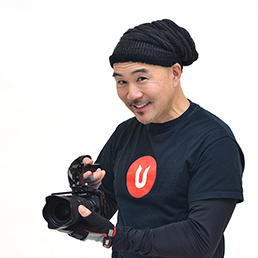 John is proud to be Creative Producer at Unikron and is excited to work with such a talent team. 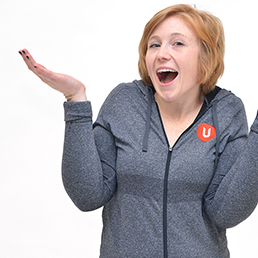 Monica is a University of Toronto graduate with a knack for integrated business solutions. Her expertise includes full cycle accounting, project management, social media marketing and business administration. To better serve her role at Unikron she is currently pursuing the designations of Social Media Strategist and PMI’s Certified Associate in Project Management. 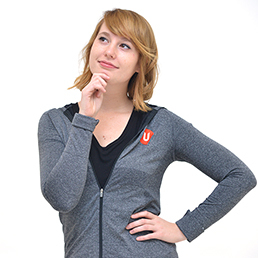 Monica is all about becoming a polymath and experiencing new challenges. She can be found salsa dancing, inventing new recipes, scuba diving, or taking all the gym classes she can find. Her definition of downtime consists of cuddling up with a business book and her Cocker Spaniel named Luna. Andrew completed his Bachelor of Design from the joint York-Sheridan program. As a Creative Developer at Unikron, he is always looking for ways to innovate and apply his problem-solving tech-savvy skills to provide clients with the best in interactive touchscreen development and design. 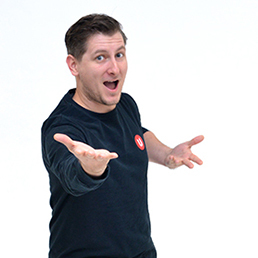 Andrew’s interests lie in new, crazy, and fun ideas, he’ll spend lots of time on Kickstarter looking for awesome projects to get behind while scheming up his own start-up ideas. He also enjoys traveling around the globe any chance he gets and experiencing different cultures, exploring countries, taking awesome photographs. Genaro studied acting in Mexico, and is a well known Spanish voice over talent in Latin America; this path led him to develop more skills, especially in the audiovisual media, where he has performed well working as Audio engineer working on ProTools, and working as audio producer for major companies. 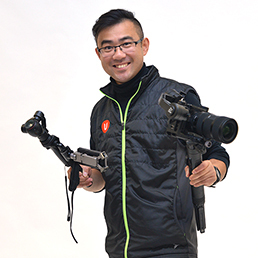 Ten years ago came to Canada to expand his horizons, and as a newcomer began immediately to immerse on the audiovisual media, working as Production Manager at a radio station. 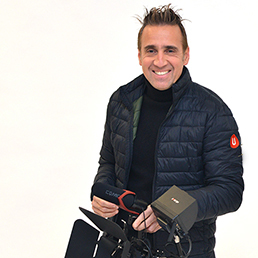 When that project ended, Genaro started to collaborate on various projects in the audiovisual media that brought him to collaborate with Unikron. Liza Gutfrajnd has been involved in sales and marketing for over 20 years. Her experience includes working in a leading ad agency, being a travel agent, selling several services and products and launching her own jewelry business. 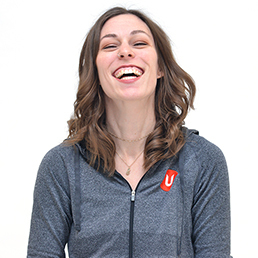 Liza’s ability and passion to connect with people has been instrumental in developing business relationships for Unikron. Liza is all about people. In addition to spending time with her kids and husband she enjoys being around her friends and she will talk to anyone that crosses her path. She also enjoys cooking, exercising and traveling. 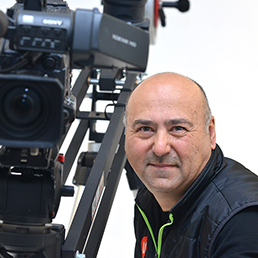 Efim has been involved in video production and cinematography for over 21 years. In his early years he started working at a Russian TV news station and has progressed his career ever since. 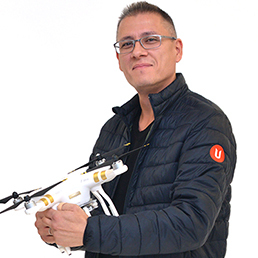 Efim loves what he does and this passion is reflected in his excellent work here at Unikron. China, Brazil and Argentina! As an avid traveller, Efim loves to explore the globe with his family. When he is not on a journey, he spends his time fishing, weight lifting or boxing. But don’t take him for a tough guy, he’s got a soft spot for animals and is proud dog and cat owner. 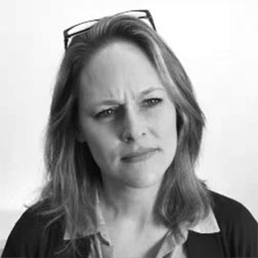 Diane has over 15 years of marketing experience and has developed a keen creative eye, a sharp nose for strategy, and a passion for writing really, really good content. 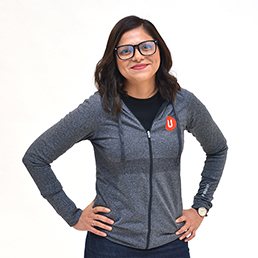 At Unikron, Diane writes material for web, email, collateral, and traditional direct marketing and she has nurtured an ability to explain complicated topics in everyday language. Writing fiction, essays and poetry on the side, she also knows how to tell a story and connect with a reader on an emotional level. She can make you laugh, cry, or make you want to buy a vacuum cleaner or sofa bed. Casting Director for Film, Television and Commercials. Over 30 years of Experience in the Film industry. Tamara understands that your network is everything when it comes to finding great talent. She has been on both sides of the camera as a Model, Actor, Agent and now a Casting Director for the past 16 years. Weather its a Feature Film, TV Series,Commercial, Print, Web Series or Corporate Video we are here to support your project. When I am not in a Casting Session or on a movie set, I love to spend my off time with my children who rule my world.